Instead of posting on Facebook directly, I would like to be able to share my photos on Facebook from a photo sharing site to Facebook. I was hoping Zenfolio could do this easily but their Facebook integration is not what I was hoping for; my bad for not actually trying it out before launching my site. 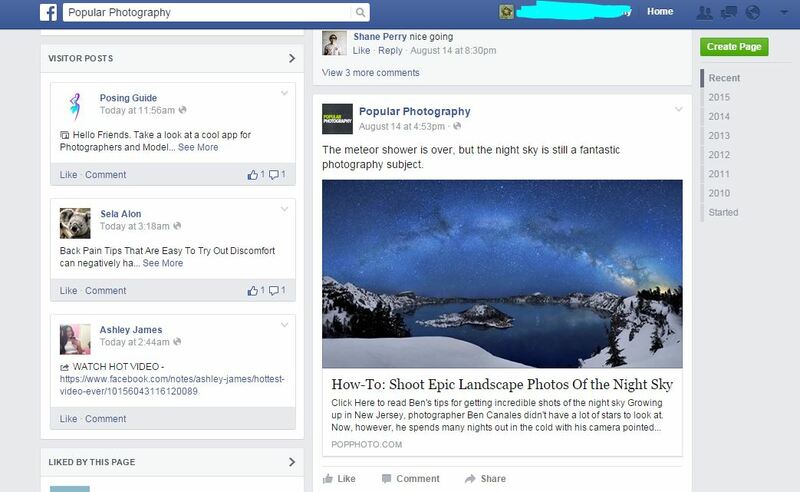 All that Zenfolio does is post a standard link with an icon to Facebook rather than a facebook-size photo. This link with an icon is not an appealing presentation to my Facebook Page audience. I use also Fine Art America (FAA) and 500px. FAA works similarly to Zenfolio, albeit in a more streamlined manner, but it too ultimately only posts a link with an icon. 500px does the best job from all 3 services I use with 2 issues: link is still displayed along the bottom of the photo which crops the photo, and the photo itself is aggressively downsampled to the point of being unusable for presentation. I am willing to consolidate my services to use a single paid service that is capable of posting full size linked images to my Facebook page. Facebook themselves have a guide that answers the why here. Of course it is very easy to achieve the recommended resolution if you are self-hosting a blog or website, but many hosted photo sharing sites also have this ability. What I generally do is just put direct links to the full size image on my Facebook page. This results in the oneboxing kicking in and automatically converting it to an image like you see there. I don't personally use a paid service, but rather put my images on my owncloud instance which I run myself, but there is no reason you shouldn't be able to use a similar style of linking for any hosting site that supports hot linking (linking directly to an image from an external URL). I forget exactly how you get the description in, but I believe it generally involves making a page with particular markup. I know my wordpress blog's integration is capable of such posts if I have a photo associated with the post, but I'm not sure exactly how it does it technically. If you just want images though, then just supplying the direct image URL should work well. Not the answer you're looking for? Browse other questions tagged service-recommendation presentation facebook promotion or ask your own question. 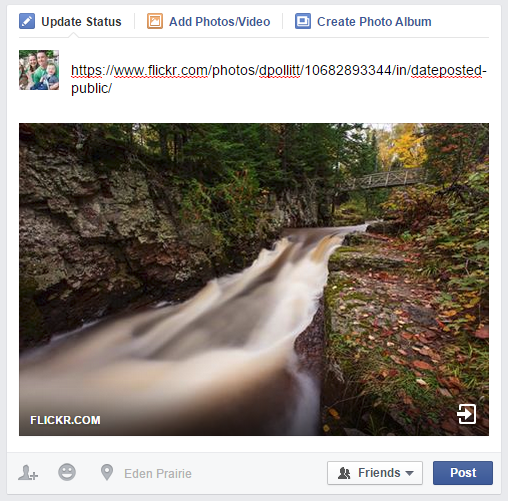 Can I control how facebook timeline displays my photos? Can I post photos of people online (US)? 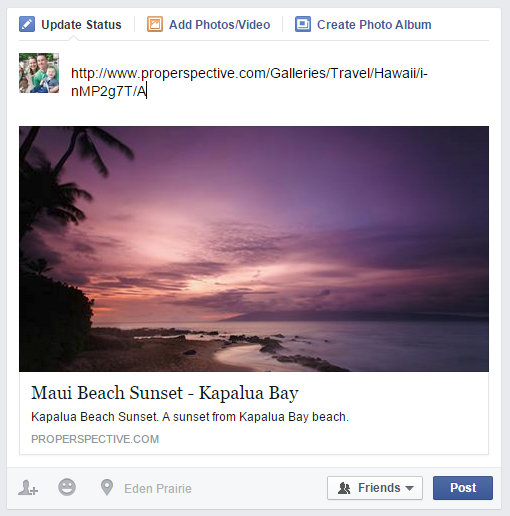 Will a Facebook photo page increase my visibility as a photographer?